When it comes to arranging van hire, it’s understandable that most of us would automatically go straight for a certain SWB panel van with a blue oval on the grill, however, whlle Ford have understandably cornered the market with their all conquering Transit, they’re far from the only van manufacturer and arch rivals Vauxhall, have their own take on the all purpose light commercial, in the form of the Vauxhall Vivaro. The MK2 Vauxhall Vivaro isn’t so much of a revolution as evolution of the previous version, which was already an outstanding SWB van by all accounts. The load bay area of the MK2 has exactly the same dimensions and fittings as the previous versions, so if you’re used the what you could do in older Vivaro’s, you’ll be able to fit exactly the same in the rental vans we have in our fleet. The main change fromt he outstanding older version of the Vauxhall Vivaro is the inclusion of up to date driver aids and conveniences as well as swapping the old 2 litre powerplant for a 1.6 turbo diesel unit, which despite the reduction in cylinder capacity, produces more power and returns better fuel economy thanks to the latest common rail fuel injection and turbo systems as well as being far more refined than you’d expect from a van engine. The cab of the Vauxhall Vivaro is an undeniably comfortable place to sit. Like many other van manufacturers, the dashboard layout and instrument clusters take their design cues from the cars they make (and also from Renault who had a hand in the Vivaro’s design), with a little added ‘chunk’ here and there and the refinement that’s filtered through from Vauxhall’s cars is clear to see and also the ride and handling. Driving the Vauxhall Vivaro feels more like driving a car than a van, just one with a higher driving position and two forward passenger seats. 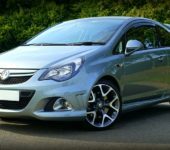 The Ford ads proudly state that they’re the Backbone of Britain, but Vauxhall have countered this by reminding drivers that the Vivaro is made in Britain and include a high proportion of British made parts. 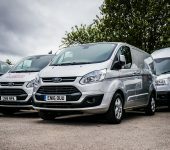 In truth, they’re both highly capable vans, which do an incredible job and while the Vauxhall Vivaro is always going to be judged against the Transit, the comparison isn’t unfavourable as there’s so little reason to choose one over the other that it almost makes no difference which one you select. 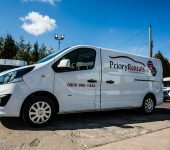 Considering just how good a van has to be to stand side by side with the Transit, rather than in its shadow, the Vauxhall Vivaro deserves more recognition than it usually receives and this is why we’ve chosen to make it our Van of The Month for February. 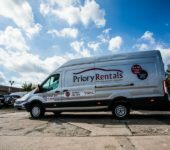 Next time you’re looking to hire a van, don’t overlook the Vivaro, our February van of the month. 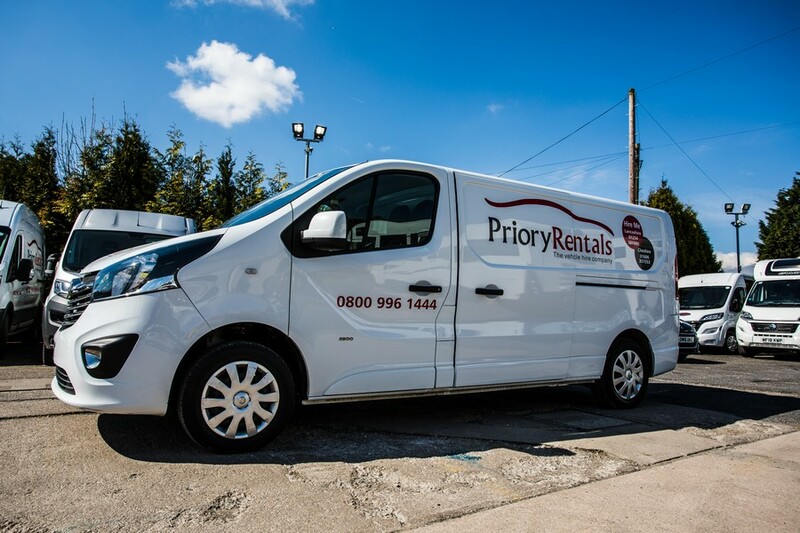 Contact us to hire a Vivaro today.